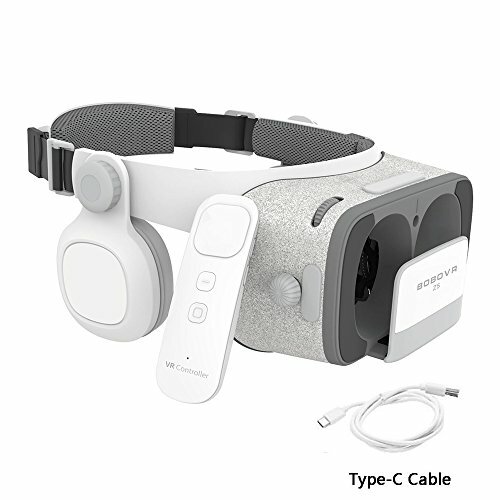 The included remote controller only supports Daydream smartphone（Google Pixel/Pixel XL/Pixel 2, Motorola Moto Z/Moto Z Force/Moto Z2, Huawei Mate 9 Pro, Huawei Porsche Design Mate 9, ZTE Axon 7, Samsung Galaxy S9/S9+/S8/S8+/Note 8, ASUS Zenfone AR/LG V30）, for Pre-installed daydream platform smartphones, it is no need scan code to install other APP, plug and play. NOTICE：If your phone is not among the phone models above, please do not order it, as the included Gyroscope Gamepad Controller can only support the specific daydream phone models. Please search BOBOVR Z5 firmware update to upgrade it before pairing with your daydream phone. If you have any questions about this product by Xiaozhai, contact us by completing and submitting the form below. If you are looking for a specif part number, please include it with your message.